For exhibition catalogues, please visit the exhibition catalogue sales page. Book Arts arts du livre Canada. 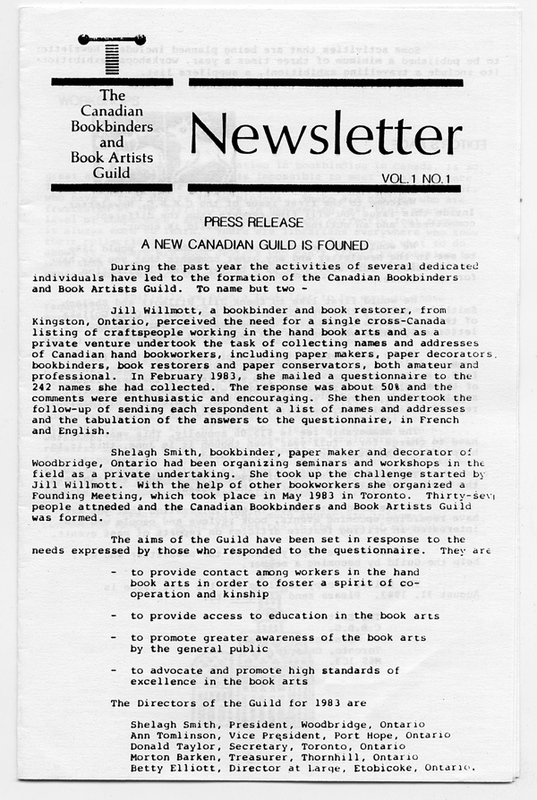 The magazine offers in-depth articles profiling Canadian bookbinders, book artists, printers, and papermakers, and covers exhibitions, conservation and restoration, small press and print, education, and more. The magazine, printed in full colour, includes articles translated into French in each issue. 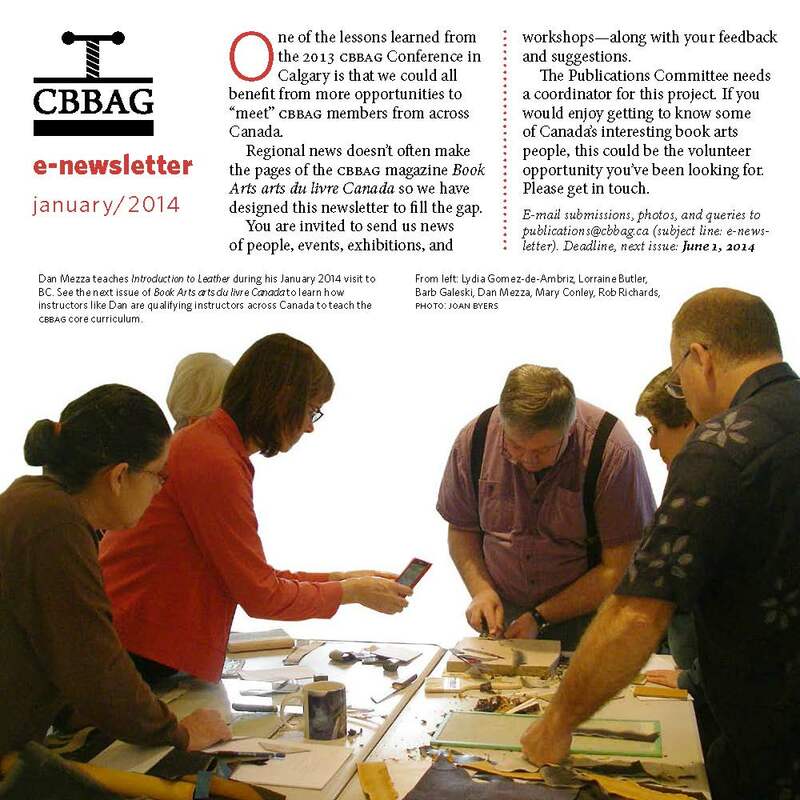 Published twice a year (May and November) in full colour, the magazine is mailed to CBBAG members. In addition, the French translation of Adrienne Williams Boyarin's article “The Medieval Book Historian as Archeologist” from November 2015, Vol. 6, No. 2, is now available: "L’historien du livre médieval en archéologue" traduit par Mirela Parau. 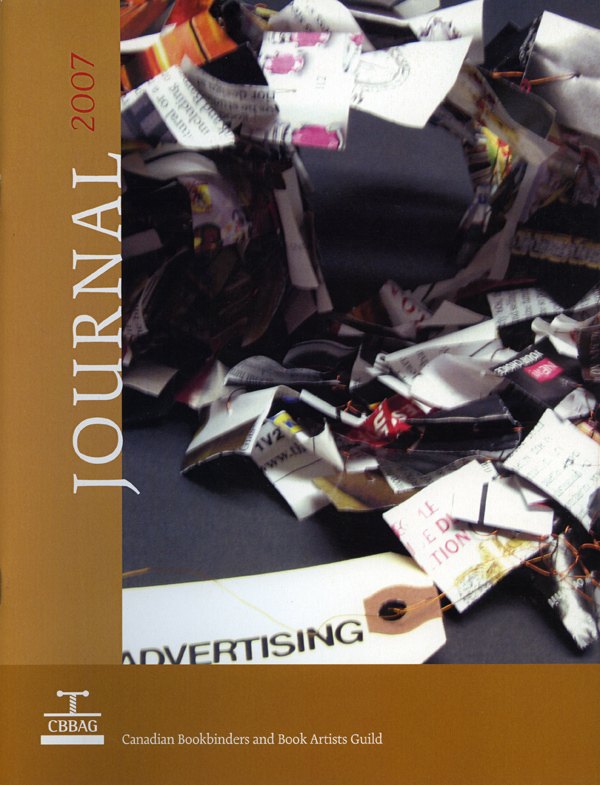 Back issues of the Journal are available for sale; please contact cbbag@cbbag.ca for information. For current magazine advertising rates and specifications, please view the rate sheet here. The E-Newsletter is published twice a year. It is designed to inform members of events, exhibitions, workshops, and pertinent timely information. The E-Newsletter is distributed by e-mail and members who have unsubscribed from announcements from CBBAG will not receive the E-Newsletter.